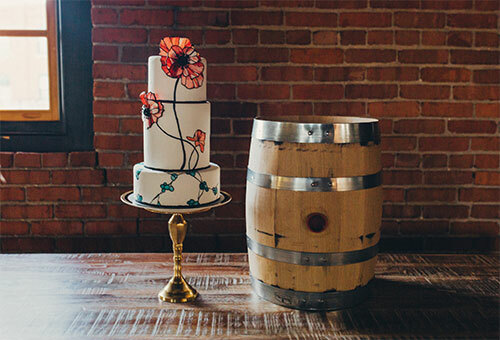 This art nouveau wedding took place in the New Liberties Distillery complete with barrels in the corner and exposed brick walls. 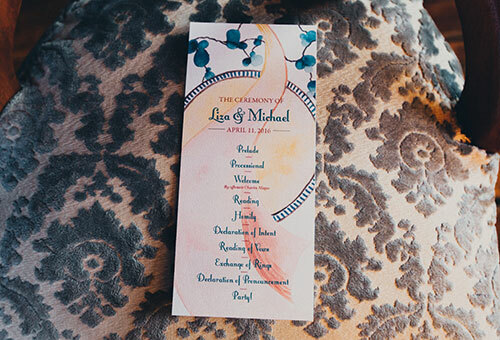 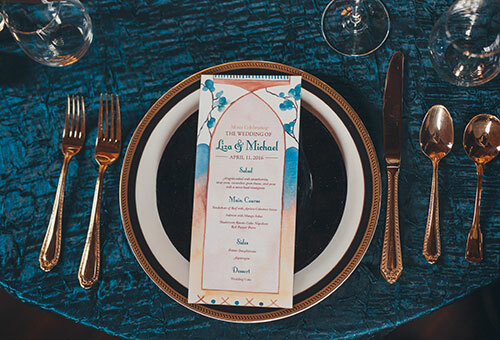 The design of the invitations and stationery was inspired by the feminine curves of art nouveau artwork along with stained glass. 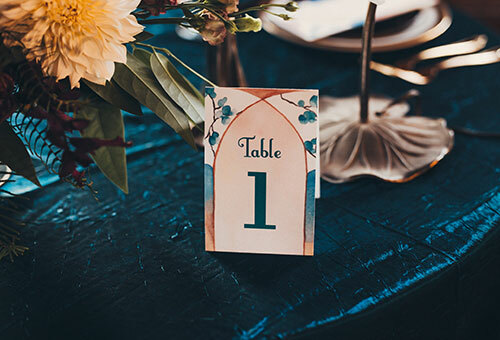 The stained glass inspired cake by Whipped Bakeshop was absolutely stunning and definitely as spotlight of this wedding inspiration. 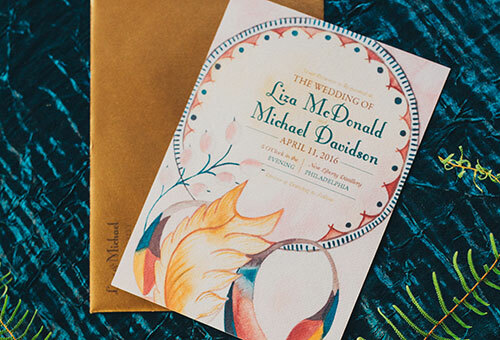 The blush Art Nouveau invitation set from this wedding is available in the Hand-Painted Weddings invitation shop. 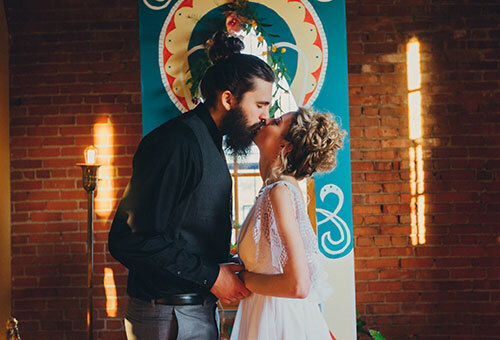 See the full feature on ISO:ALT here.